For all you Bay Area Bigfooters in California, here's a fun event that you won't want to miss. 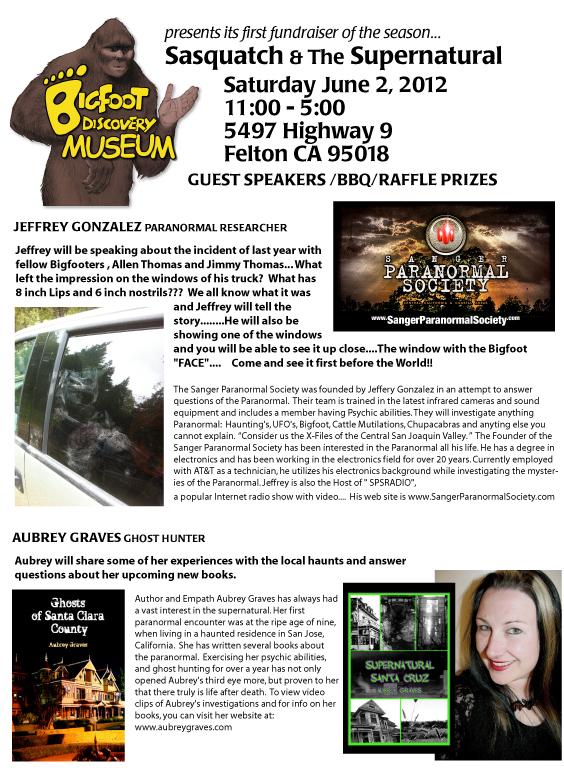 While I'm not a supernatural investigator of any sort, I strongly support Mike Rugg and the Bigfoot Discovery Museum in Felton, CA. Mike throws fun events, and lots of local investigators show up to network and share experiences. I'm sure that the day will be fun and informative, and Mike's museum is a great resource for bigfooters in central California. If you have the opportunity to visit the Museum in the beautiful redwoods near Santa Cruz, CA for this event, please be sure to tell Mike hello for me. Click on the flyer for details. Is Mike Rugg a believer in Sasquatch and the paranormal as in: he believes in Sasquatch and he also believes in the paranormal as a separate entity (?) OR does he believe Sasquatch IS a paranormal being? I don't know much about Mike Rugg as an investigator but I may be interested in pursuing some of his work. However, before I waste my time (It would be wasting "my time" due to myself not believing Sasquatch is paranormal) pursuing his work, I'd like to know a little more about him. 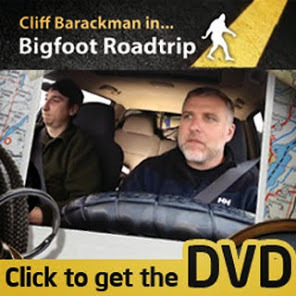 So, Cliff, does he believe that Sasquatch is paranormal? Thanks.